Mister Vibe added an immeasurable amount of awesomeness to my best friend's surprise birthday luncheon. He packed a lot of psychic reading into a short time for our group of about 20. It was both a fun and meaningful experience for all of us, especially the guest of honor who got extra attention. A week later, we're still talking about his insights. If you want to give someone a uniquely personal gift that keeps on giving, I highly recommend hiring Mister Vibe! I hired Mr. Vibe for my annual Halloween party to do strolling palm readings and a hypnosis show. He promptly arrived as scheduled and worked the entire day until the last guests were leaving! The hypnosis show was a huge hit... So much so that many people requested to be hypnotized following the group performance, and he readily obliged. I would not hesitate to recommend Mr.Vibe as a hypnotist, palm reader, tarot card reader and handwriting analyst. He's a jack-of-all trades when it comes to entertainment! I'm so glad we chose Mister Vibe to do group palm reading at our carnival fundraiser. We've had slow psychics in the past who just sat there taking 15 minutes or more seeing people one at a time. This created a long line of guests who waited for hours and never got a reading. I was thrilled to see Mister Vibe on his feet working the room and quickly reading ENTIRE TABLES of people non-stop for 3 hours straight. Wow! He was more than up to the task of entertaining EVERYONE there and they LOVED IT. When it comes to psychics, if you want to get the most fun for your money, book Mister Vibe! All his positive reviews are true, Mister Vibe is an awesome entertainer! His hypnosis show at our summer company party was big hit and insanely funny. Days later, it was still the talk of the office. He's a total professional on and off stage. Don't think twice about hiring him to make your next event a blast! Mister Vibe is definitely the real deal and jaw-droppingly accurate! I loved how he continually circulated among my guests performing multiple readings rather than have them waste time standing in a long line waiting their turn. This made his entertainment a very lively, interactive part of the party's fun throughout the evening. I strongly encourage anyone who wants to make their event an unforgettably awesome experience to hire Mister Vibe! The absolute highlight of our graduation party was Mister Vibe's awesome hypnosis show. He took the party to the next level and beyond with his hysterically funny, fast-paced performance. To see him demonstrate astounding feats of hypnosis right in our home was incredible. Besides being a talented entertainer, he was very friendly, accommodating and arrived early. Highly recommended!!! I hired Mister Vibe for my sister's bachelorette party because I was looking for something different and fun. He was a BIG hit and all the girls had a total blast! His group readings were absolutely amazing and kept everyone engaged. It was a great bonding experience filled with lots of laughs. He even gave my sister a special, longer reading. She was so impressed with his talents that she's having him perform a hypnosis show at her wedding reception. I highly recommend Mister Vibe to anyone who wants unique, group participation entertainment at their party. Mister Vibe's hypnosis show was the best entertainment our organization has ever had! The laughter never stopped. It was so funny at times I was brought to tears. He got everyone involved, making folks in the audience feel like part of the show even if they weren't on stage. His performance was worth MANY times the price, which was very reasonable. We're definitely bringing him back again next year. 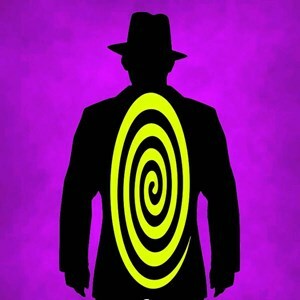 For an absolutely amazing hypnotic experience, I strongly recommend Mister Vibe! He was great. Everyone loved him. He even stayed a little past his time so that way he could read more palms. That was appreciated so much by our employees. Mister Vibe's hypnosis show was an extra special addition to my daughter's Bat Mitzvah celebration. The performance was appropriate for all ages and filled with non-stop laughs. Both kids and adults had a terrific time and kept talking about the amazing hypnotic feats they witnessed. Mister Vibe was easy to work with, very professional, polished and accommodating. All my calls and emails prior to the event were answered promptly. I highly recommend Mister Vibe to anyone looking for top notch entertainment! Mister Vibe was the highlight of my dinner party! He's an exceptionally well-versed psychic and delighted my guests with a variety of group readings plus hypnosis. His perceptions were astounding! I was impressed by how he engaged everyone and energized the evening with so much fun. I very highly recommend Mister Vibe to anyone looking for outstanding entertainment! Mister Vibe's hypnosis show added lots of fun to my daughter's Sweet 16 party! I'm so glad I chose him. He was very professional, easy to communicate with and arrived early. Plus he's an amazing hypnotist! The girls are still talking about his incredible show. I highly recommend him to anyone looking for a talented, funny and engaging performer. Mr. Vibe recently performed at my annual Halloween party -- and he was a resounding success! This is the third time I have hired Mr. Vibe, and he brought something new this time: hypnosis! My guests loved it --they were eager to try it and were amazed when they saw what he could do. Even guests who didn't try it loved watching the others under Mr. Vibe's spell! Once again Mr. Vibe added such a fun element to my party, and I'm so glad I hired him. He is so easy to work with, he genuinely cares what you, as the host, want to accomplish and he is dedicated to making sure that his performance is the best it can be. I recommend Mr. Vibe to you without reservation. Mister Vibe was AMAZING! He arrived on time and got started right away. He was on his feet reading palms for 5+ hours and did not ask for a break or take a break at all!!!!! He worked way harder than I did at my tradeshow booth. He was still reading palms after I had packed up the booth and was heading out! He entertained my customers completely and the show was a great success thanks to him! It started with great communication and ended with great entertainment. Mr. Vibe was a pleasure to work with from start to finish. He worked the room as well as any professional. My guests, about 120, were talking about him throughout the night. They made comments like, "he was right on" and "it was like he knew me". I definitely made the right choice by hiring Mr. Vibe for my wife's 42'nd birthday celebration. Mr. Vibe surpassed our expectation. Job well done!!! MISTER VIBE: #1 Top Entertainer 5 Years In A Row!